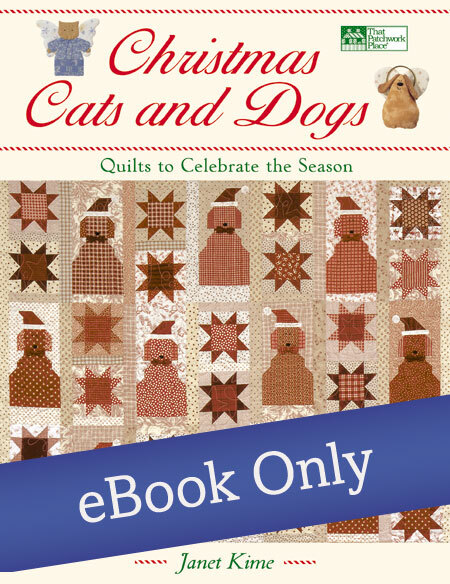 Dress up a dozen cute cats and five jolly dogs for the holidays! 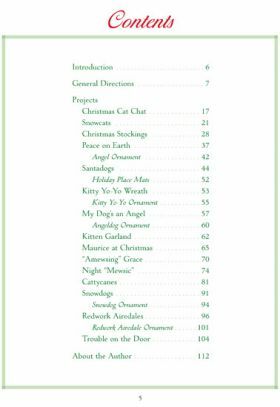 Best-loved author Janet Kime is back with all-new projects that feature cats and dogs as adorable angels, pudgy snowmen, and even Santa. 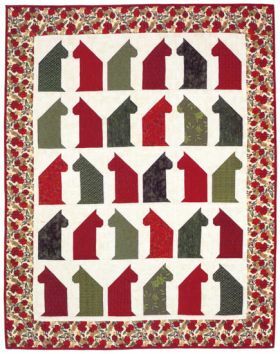 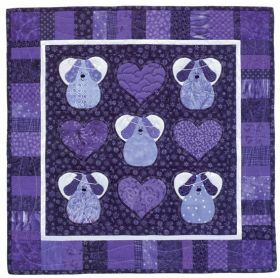 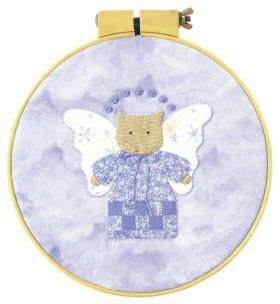 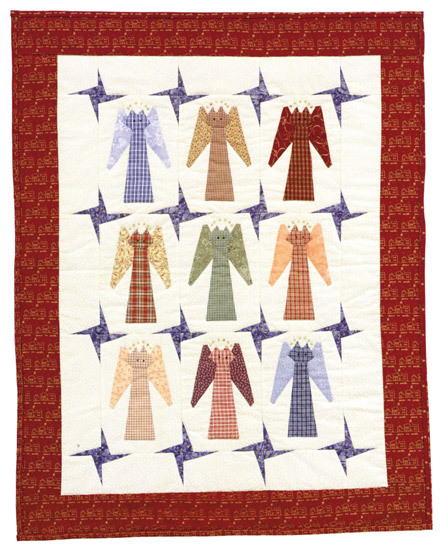 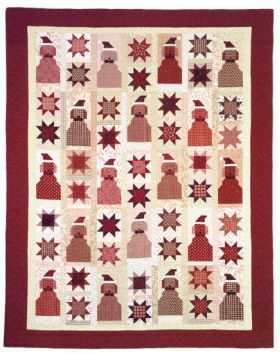 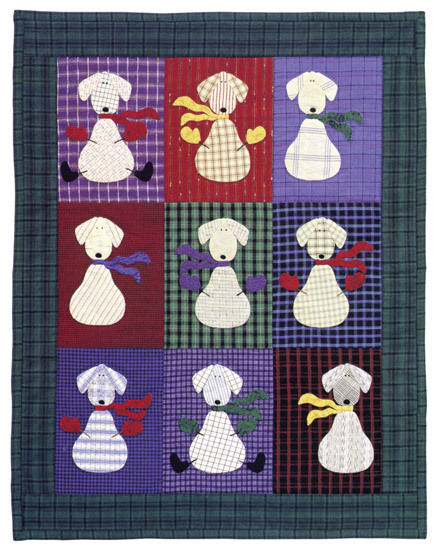 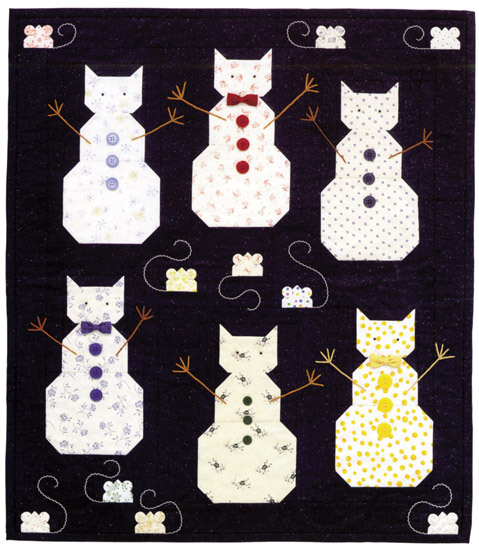 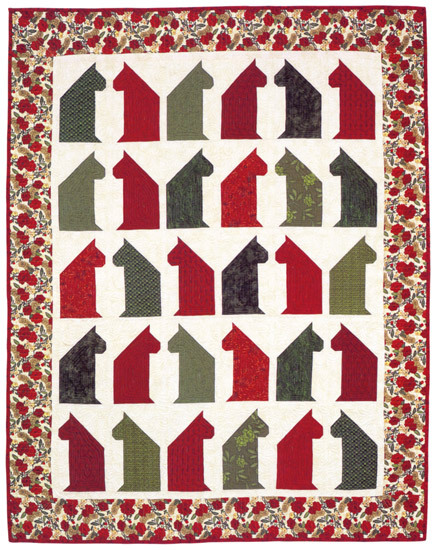 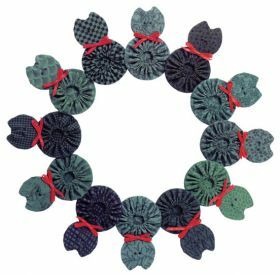 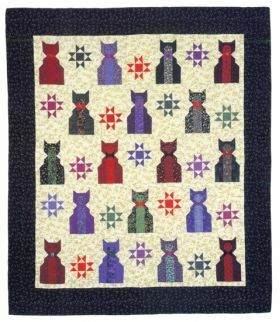 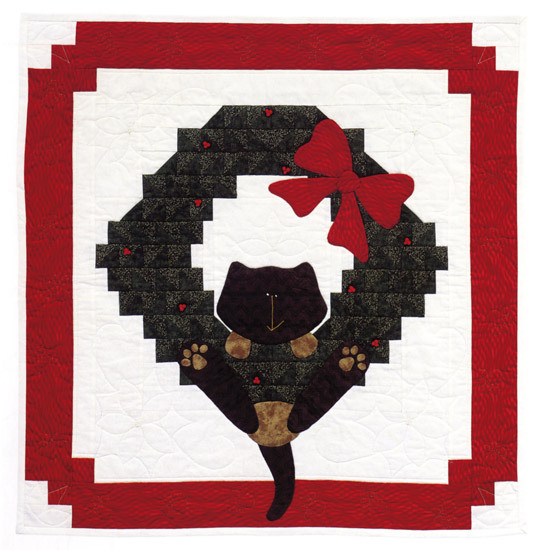 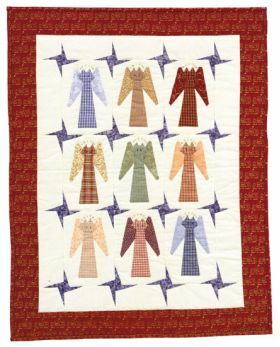 Choose from 14 whimsical quilts, plus a wreath, a garland, a stocking, and holiday ornaments. 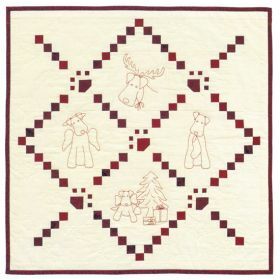 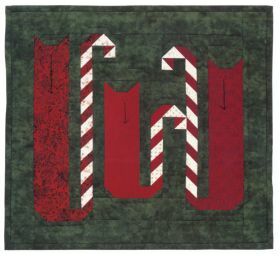 Use easy techniques such as speed piecing, hand applique, and redwork embroidery. Make any of these projects in a snap for gifts or just for fun--even if you've never quilted before! 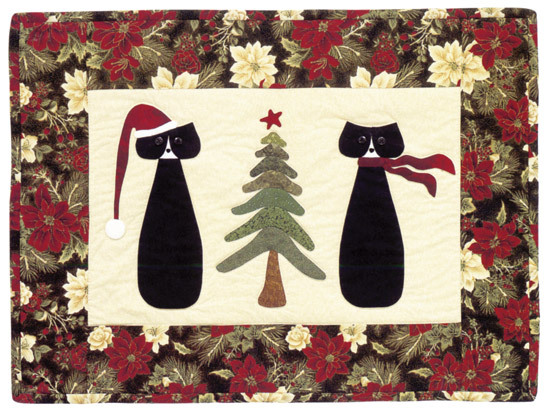 Janet Kime’s Christmas Cats and Dogs is well, just TOO cute. I want one of each of the eleven quilts, and then I’d like to throw in the ornaments, stockings and all the other great stuff in this book. 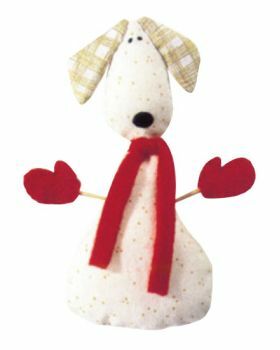 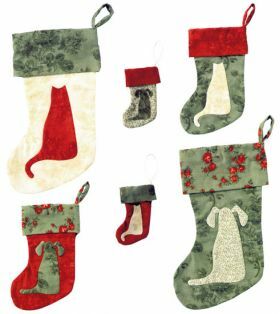 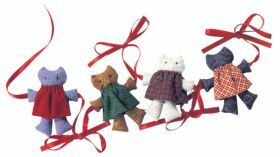 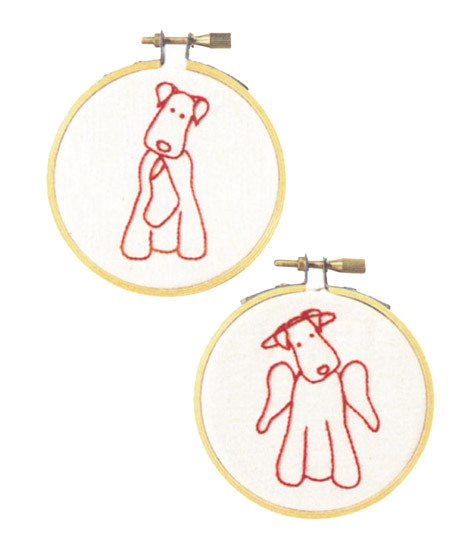 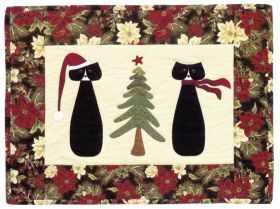 There are angel versions of both cats and dogs, sweet appliqué and patchwork projects all in Christmas theme. 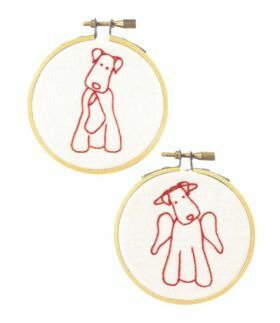 Janet never crosses the line from cute to cutesy, she just brings us projects of our most-loved pets in not-too-difficult form. 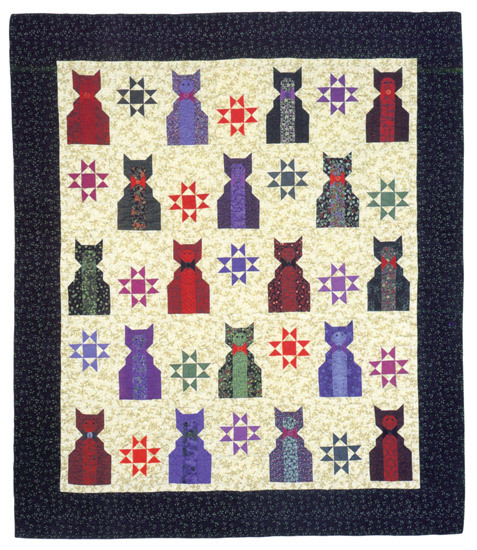 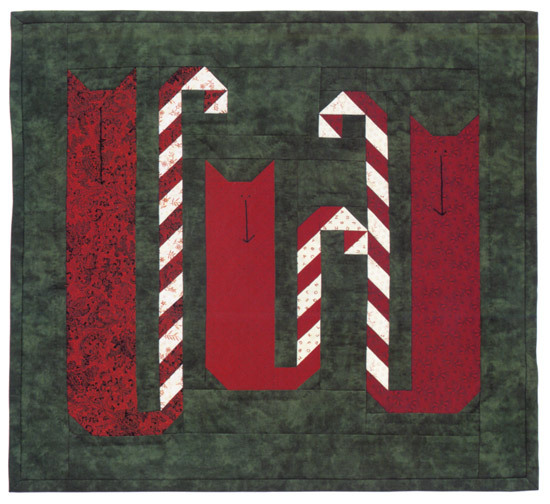 Although I’m unmistakably a cat person, my favorite quilt is "Redwork Airdales." Maybe I could crank out a few doggie ornaments before the 25th. 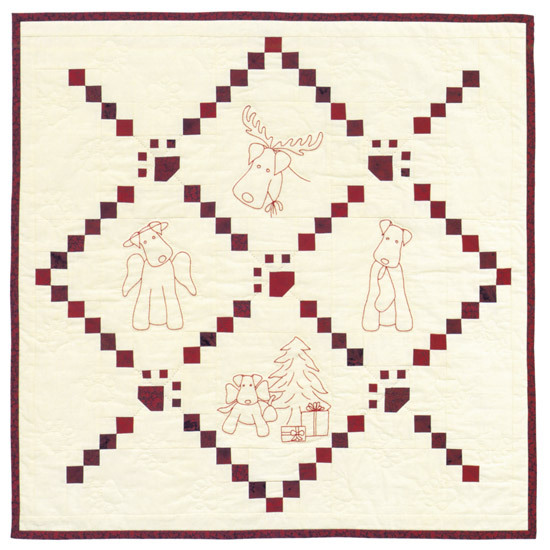 Janet Kime teaches and lectures about quiltmaking throughout the Pacific Northwest. She is a best-selling Martingale & Company author.